Motley Crüe’s lead vocalist, Vince Neil is hosting the Third Annual OFF THE STRIP $50,000 Charity Poker Tournament from November 2-4, 2007, at the Hard Rock Hotel and Casino, Las Vegas, and a limited number of player seats are being offered to national Rock radio stations for the sold-out Texas Hold Em Poker Tournament. 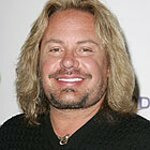 The radio stations and their advertisers will have the opportunity to sponsor one winner and a guest to participate in a weekend with Vince Neil and his friends at the most thrilling ‘Girls, Girls, Girls’-crammed charity poker tournament in the United States. Proceeds raised will benefit Vince’s Skylar Neil Memorial Foundation and the TJ Martell Foundation for Cancer, Leukemia and AIDS Research. In 1995, Vince Neil, lead vocalist of the multi-platinum selling heavy metal band Motley Crüe, lost his daughter Skylar to stomach cancer. Since that time Vince has endeavored to help raise awareness and much needed funding for children’s illnesses. Since its inception, the Skylar Neil Memorial Foundation has donated over one million dollars for Cancer, Leukemia and AIDS research through the T.J. Martell Foundation. All of the proceeds from The Skylar Neil Memorial Foundation Events (The “OFF THE STRIP” Poker Tournament, The Motley Cruise, and the Charity Golf Tournament and Auction), are given to the T.J. Martell Foundation so that it can continue its groundbreaking research. Columbia/Sony music industry executive Tony Martell, who was instrumental in the signing of Ozzy Osbourne and Stevie Ray Vaughn, among others, founded The T. J. Martell Foundation in 1975 in memory of his son, T.J., a victim of leukemia. The T. J. Martell Foundation, which has raised more than $225 million over 32-years, remains dedicated to raising funds for the innovative initial and ongoing research into the treatments and cures of the world’s three most deadliest diseases, leukemia, cancer, and AIDS at leading research facilities throughout the United States.